INGREDIENTS: filtered rain water, witch hazel, and proprietary essential oil blend. DIRECTIONS: Shake well. Spray onto hands and apply to arms and legs. For best results, store product out of direct sunlight in a cool place. 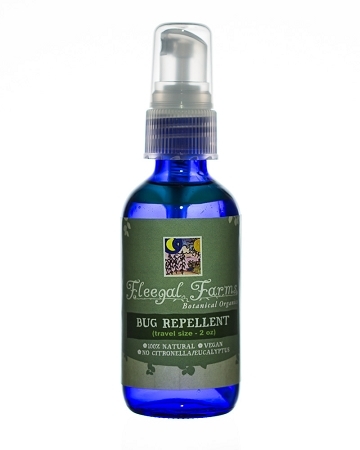 This is the best bug repellent I have ever used. I am highly allergic to mosquito bites. When I go out I have to be covered up or else I use strong bug repellents like OFF. 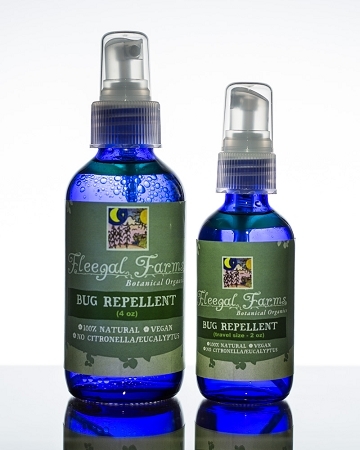 I tried Fleegal bug repellent and it really works! The mosquitoes stay away and the best part is that it smells really good when you put it on your skin. I tried another brand of lavendar bug repellent and it did not work. I would highly recommend that you try this. I just finished ordering 4 more bottles!! !